Web-based folders for documents, templates, reports, policies etc. A central, easily accessible location for common documents. Staff Planner for tracking vacation, sick days, education leave, and all other staff time. Built-in email request system to streamline processes. 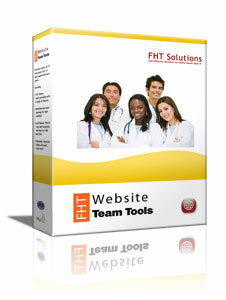 Fully integrated with FHT Time and Activity Tracking package. Course and Session Booking Tool - for distributed teams. A web-based booking tool to help IHPs coordinate bookings for courses, group meetings and sessions.